Ross Crates completed his undergraduate degree at the University of East Anglia with first class honours in Ecology. After graduating, Ross worked for 3.5 years as a research assistant at the Edward Grey Institute of Ornithology, Oxford University. Here, he was involved in a large-scale research project examining the social ecology of wild songbirds. Since 2015, Ross has been part of the Difficult Bird Research Group, ANU, where the team work to improve understanding of the ecology of the critically endangered regent honeyeater (estimated wild population of 350-500 birds). This work involves the development and implementation of a novel monitoring strategy for this rare and highly mobile species. The results of the monitoring provide evidence to devise and inform novel conservation measures to try to save the remaining wild population from extinction. Critically endangered regent honeyeaters are at high risk of extinction within two decades. Our capacity to prevent extinction of the regent honeyeater is currently hampered by a lack of ecological and demographic information as to why the species continues to decline. This talk will present the results of three years of intensive monitoring undertaken by the Difficult Bird Research Group at the Australian National University. We describe our new monitoring approach, which better accounts for the regent honeyeater’s large range, semi-nomadic movement patterns and small population size. We present contemporary estimates of regent honeyeater breeding success and causes of nest failure. Finally, we explain how this new knowledge can inform urgent on-ground action, including noisy miner management, to conserve the remaining wild population. 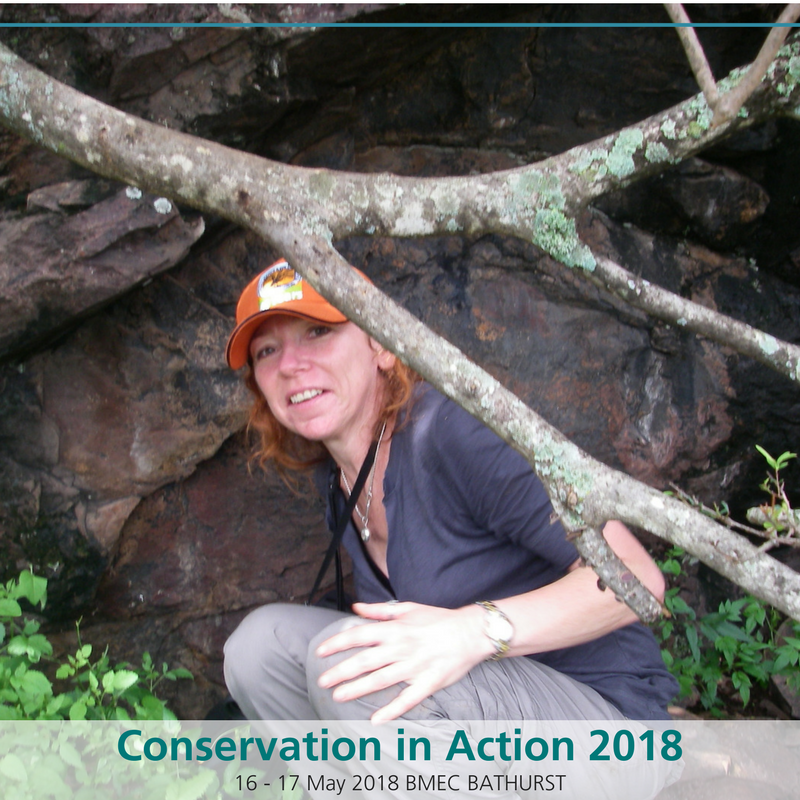 Deborah Ashworth completed her BSc (Zoology) at the University of NSW with her honours thesis focusing on the responses of invertebrate fauna to fire. In 1996 she received her doctorate where she investigated the behavioural ecology of a population of kangaroos through drought in semi-arid NSW. For the last 25 years she has been working in the field of conservation biology. She currently coordinates the NSW recovery program for the endangered Brush-tailed Rock-wallaby as well as programs for a range of other threatened entities including five frogs, the Blue Mountains Water Skink, the Giant Dragonfly, approximately 30 plants and two threatened ecological communities. In 2003 she established the NSW captive breeding program for the Brush-tailed Rock-wallaby and has coordinated the release of over 80 captive-bred animals. She also founded the NSW Declining Frogs Working Group, and is the independent scientific member on the NSW DPI Forestry Animal Ethics Committee. In 1992 only seven brush-tailed rock-wallabies (Petrogale penicillata) were known to remain of a once thriving population at Jenolan Caves. The decline of the Jenolan rock-wallabies was largely attributed to predation by foxes which is a widely-accepted major reason for the decline of other rock-wallaby and small-native mammal populations across Australia. The rock-wallabies were placed into an onsite fox-proofed exclosure and increased in number over many years to plateau to between 15 and 20 individuals. In 2007 the exclosure was opened and the rock-wallaby colony protected from predation with an ongoing fortnightly 1080 baiting program. The recovery of the population was initially slow but then increased more rapidly to a current estimated 80 -100 individuals. In eastern Australia, the Jenolan Caves rock-wallaby population is the only example of a successfully recovered rock-wallaby population despite long term ongoing efforts involving predator control and other threat abatement actions at many other sites. We explore possible reasons behind the recovery success. Trent Forge completed his BEnvSc (Wildlife Ecology and Conservation Biology) at Deakin University with his honours research focusing on the distribution of critical weight-range mammals in the Grampians National Park. After graduating, Trent worked for the Queensland Parks and Wildlife Service (QPWS) where he was involved in the management of flying-foxes, crocodiles and fauna and flora impacted by Coal Seam Gas (CSG) development. After several years he returned to NSW and the world of academia to carry out his PhD at the University of New England on the spotted-tailed quoll. This research was part of a broader project funded by the Invasive Animals Cooperative Research Centre (IACRC), and over four years he was lucky enough to trap and GPS-track quolls, dingoes, foxes, feral cats, rock-wallabies and possums. At the end of 2016 Trent moved to the Blue Mountains, joining NSW National Parks and Wildlife Service (NPWS) as a Project Officer for the Saving our Species (SoS) program. Camera-trap methodology developed during his PhD research has since been adopted by the SoS spotted-tailed quoll program and rolled out at priority sites across the state in efforts to monitor this nationally endangered carnivore. The spotted-tailed quoll (Dasyurus maculatus) is the largest free-roaming marsupial carnivore on the Australian mainland. Since European settlement, however, threats including habitat loss, non-target poisoning, direct killing because of poultry predation, and competition with introduced predators, have contributed to an estimated 50 – 80% reduction in the species’ abundance and distribution, and it is now listed nationally as Endangered. Most of the mainland population lies within NSW, and a targeted strategy for managing and monitoring this species has been developed under the Office of Environment and Heritage’s (OEH) Saving Our Species (SoS) program. Hailing from the Blue Mountains, David ventured west of the Divide in 1999, and never really left. Now based in Dubbo, his work with the NSW National Parks and Wildlife Service and now the Office of Environment and Heritage has been varied and (mostly) fulfilling, including: surveying biodiversity in the Western Division, mapping the vegetation of the Lachlan and Central West Catchments, supporting the NSW Scientific Committee, investigating the biodiversity and social values of artesian bore-fed wetlands, and projects for the Brigalow Belt South Bioregional Assessment. For the last 12 years David’s focus has been on threatened species and ecological communities, particularly threatened frogs and plants in the Central Tablelands. This has fostered close collaboration on Saving Our Species projects with the Central Tablelands LLS, NPWS, NSW Forests, NSW Fisheries, local government, landcare groups and landholders on species with strange names like the “Genowlan Pea” and the “Clandulla Geebung”, and in spectacular locations like the Capertee Valley, Wollemi National Park and even the Rockley Pub. David is currently part of the Frogs Fish Flora and Fresh Flowing Water Environmental Trust Partnerships Project, which among other species in the NSW Central and Southern Slopes and Tablelands, aims to ensure long-term conservation outcomes for the Nationally Endangered Booroolong Frog. The Booroolong Frog (Litoria booroolongensis) is a medium-sized stream-dependent ‘tree frog’. The species’ dependence on permanent rocky streams and the advent of a pandemic fungal disease in the late 1970s, has seen it disappear from over half its range. Consequently, it is now listed as Endangered under both State and Commonwealth legislation. Habitat loss - resulting from weed invasion, sedimentation, and stream-drying - remains a major threat to the Booroolong. On-ground conservation of remnant Booroolong populations focusses on protecting and enhancing riparian areas to prevent and reverse habitat loss, and to increase the resilience of populations to disease and drought. Such conservation measures must be implemented strategically at different scales, targeting priority subcatchments and reaches, and accounting for known occurrences of Booroolongs, upstream influences, and connectivity between reaches. The Environmental Trust Saving Our Species Partnerships Project “Frogs Fish Flora and Fresh Flowing Water” (FFF) is a coordinated long-term effort to implement Booroolong conservation across the species’ range. Led by the Central Tablelands Local Land Services (LLS) in partnership with three other LLSs, Fisheries NSW, Taronga Zoo and the NSW Office of Environment and Heritage, FFF is building on existing knowledge and networks to benefit not only Booroolongs, but biodiversity in general and the communities who rely on it. Rodney Price is a Fisheries Manager working for NSW Department of Primary Industries – Fisheries in the Aquatic Habitat Rehabilitation Unit. Rodney has a Bachelor of Environmental Science from Charles Sturt University and has over 10 years of experience working in environmental management, primarily in Fisheries. In his role with AHR Rodney has managed a wide range of projects that include: weir and road crossing removal and remediation to facilitate fish passage; resnagging of over 400 Large Woody Habitats; facilitation of the 2017 Murray-Darling Basin Native Fish Forum and; stakeholder engagement across a huge suite of aquatic habitat rehabilitation activities. As well as these projects Rodney has mapped the aquatic and riparian habitat features of 15 rivers in inland NSW, covering over 3500km. The information he has collected has been applied to developing and prioritising remediation actions that benefit land managers and the environment. Further, the knowledge he has gained while undertaking these activities has given him a unique insight in to the processes impacting waterways in inland NSW. With funding from Central Tablelands Local Land Services, DPI Fisheries conducted aquatic habitat mapping on the Macquarie River in May 2015 from confluence of the Fish and Campbells Rivers for 21 km downstream to Eglington. The mapping was the basis for a report that, amongst other things, listed priority areas for rehabilitation. The priority activities focussed on protecting areas of (relatively) healthy sections of waterway and linking them with other similar sections or expanding on them. The information was used by the Sofala Branch of the Central Acclimatisation Society, with assistance from Fisheries, to develop a Habitat Action Grant focussing on weed control and revegetation with native grasses, shrubs and trees. Other stakeholders were invited to provide financial investment in the project which resulted in Bathurst Regional Council, Central Tablelands Local Land Services and the Central West Councils Environment and Waterways Alliance providing in-kind and cash contributions. The project grew from relatively small weeding and revegetation activities to a more comprehensive suite of works that included reinstating fish passage at two weirs and installing of large rock at key sites to improve fish habitat. The project is nearing completion, with rock scheduled for installation before September. Sofala CAS is looking to build on this project by expanding rehabilitation activities up and downstream where more mapping has been undertaken. Kurtis Lindsay is a landscape Ecologist who has a strong love for the central west. He lived in Mudgee for four years and while he no longer lives in the region, he still regards it as home as half of his family (on his mothers’ side) come from the Orange-Bathurst area. Kurtis has spent many long days and nights surveying and studying flora and fauna across the central west. He has developed an intricate knowledge of the biodiversity of the region. 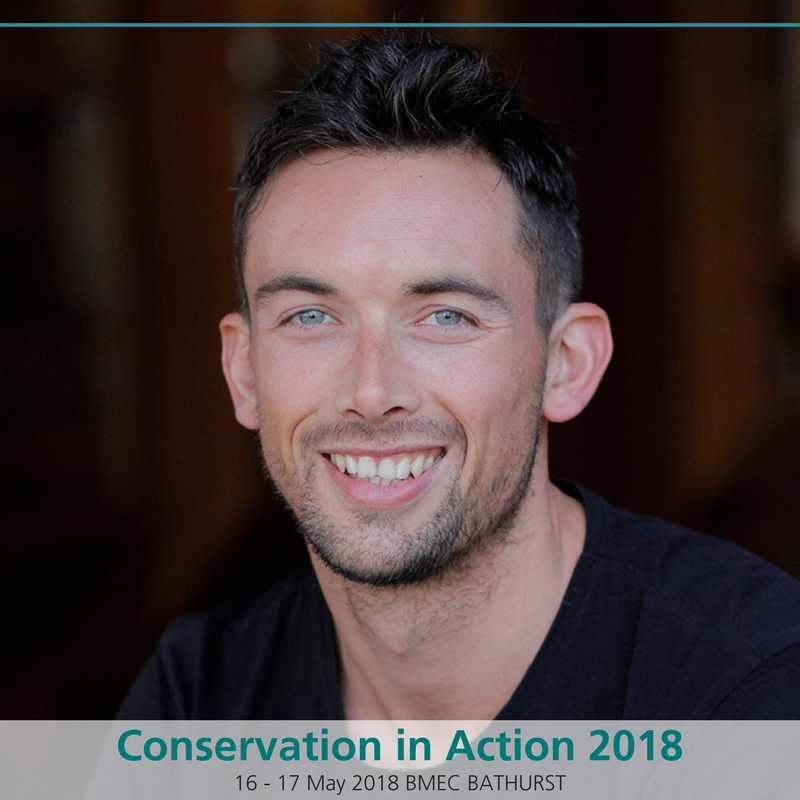 Kurtis will be sharing his experiences in protecting and rehabilitating Putta Bucca Wetlands in Mudgee for the protection of the threatened species and Ecological Communities that occur there. Monitoring and research plays a big role in a number of facets of managing the active environmental water Putta Bucca Wetlands Reserve is located on the floodplain of the Cudgegong River on the northern outskirts of Mudgee township. The site occupies a former gravel quarry and sewage treatment plant. It is a semi-artificial permanent wetland system located in a landscape position that mimics a billabong/ oxbow lake and is surrounded by riparian woodlands and cleared grazing land. It is home to at least 11 species of threatened birds. An official Plan of Management was prepared for the reserve in 2015. This details on-going management actions, including tree plantings and habitat restoration efforts proposed for the site. Ecologist Kurtis Lindsay will provide a complete overview of the site, its biodiversity values and on-going management achievements, challenges and opportunities for the future.